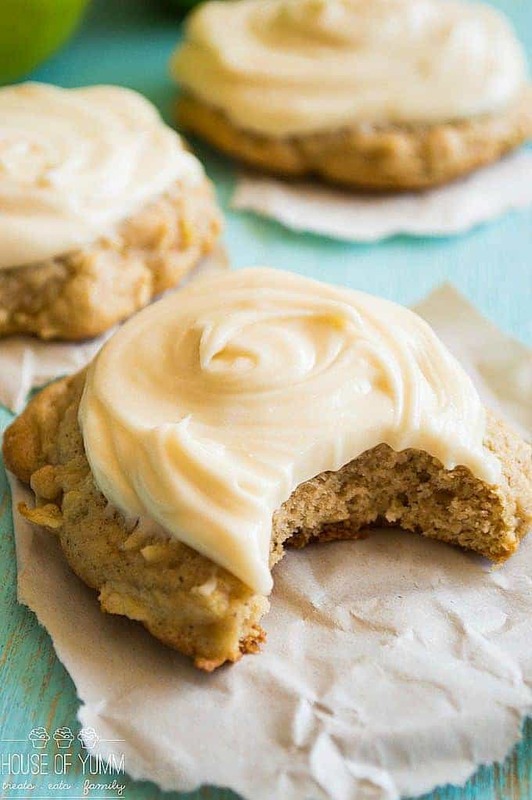 Maple Cookies with Brown Butter Frosting. 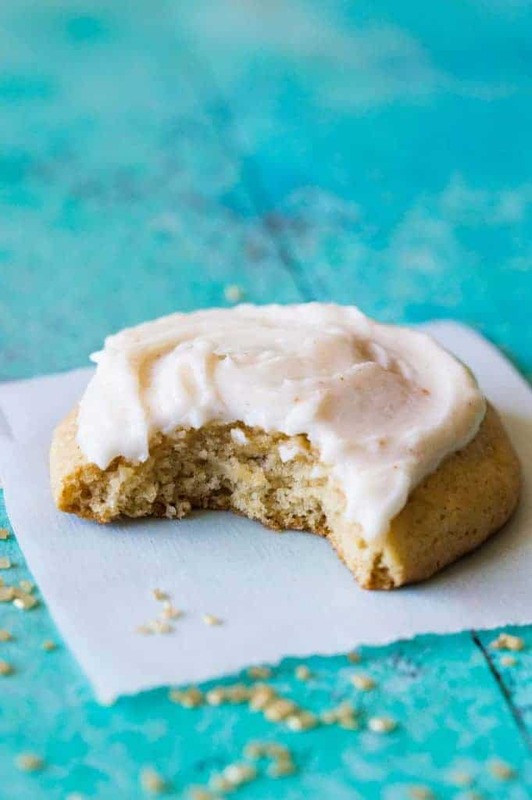 These ultra soft bakery style cookies are made with real maple syrup and topped with a swirl of BROWN BUTTER frosting! Hey y’all. 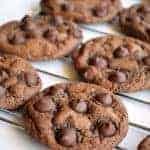 Who likes cookies?! 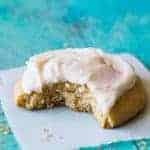 These super soft bakery style cookies are made with real maple syrup, light brown sugar, and sour cream. 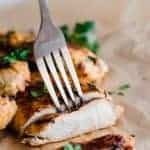 Meaning they are ultra moist and loaded with a sweet subtle maple flavor. 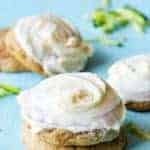 To complete these cookies and take them slightly over the top is a nutty, creamy brown butter frosting. Maple is possibly one of my favorite flavors. And it’s perfect for Fall. Adding the maple syrup to the cookies gives it that sweet syrup taste and adds extra moisture. 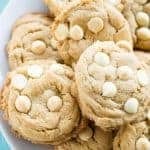 If you really want to take that maple flavor through the roof, just add about 1/2 a teaspoon of maple extract to the cookie dough and you will be in maple heaven. The extract isn’t required though, and you still get a subtle maple flavor with just the syrup. 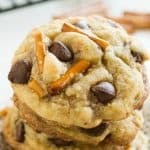 These cookies are based on a cookie recipe I came across years ago in an older Betty Crocker cookbook. 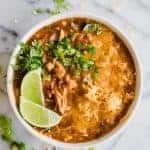 They are classic, flavorful, and always a huge hit! Not to mention when you slather that brown butter frosting on top!! Using brown butter in the frosting adds that delightful nutty flavor that you get when you cook the butter in a skillet. 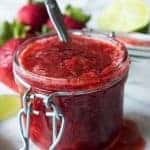 If you’ve never made it before it’s so easy! Just add the butter to a saucepan and stir while heating over medium heat. The butter will literally start to brown and you will see brown bits on the bottom of the pan. And it’s done when the smell makes your mouth start to water. No joke. 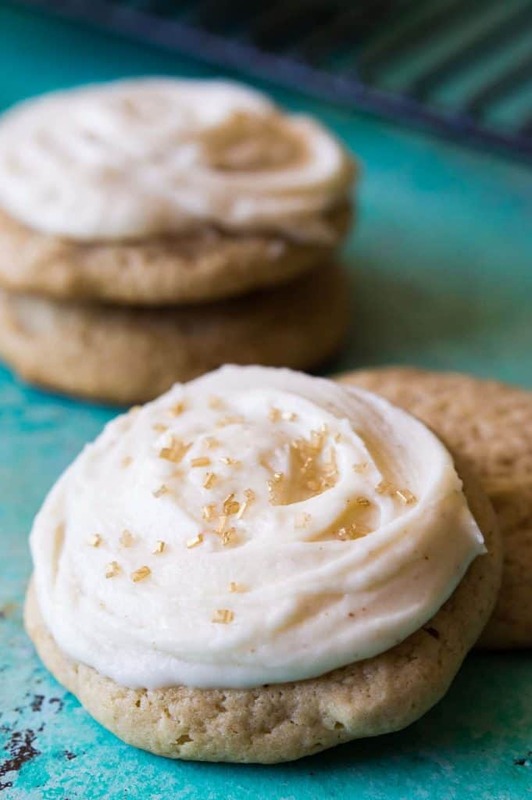 Mix that up in the frosting, slather it all over the cookies and you will be in Maple and Brown Butter heaven. 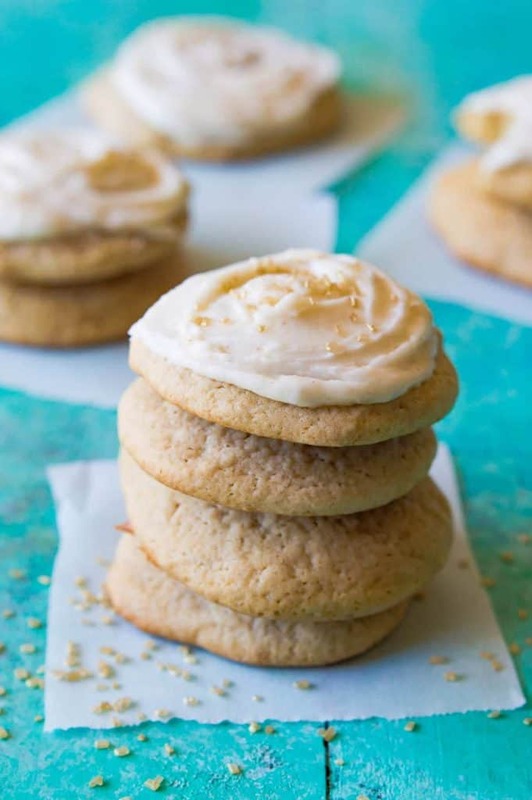 WANT TO TRY THESE MAPLE COOKIES WITH BROWN BUTTER FROSTING? 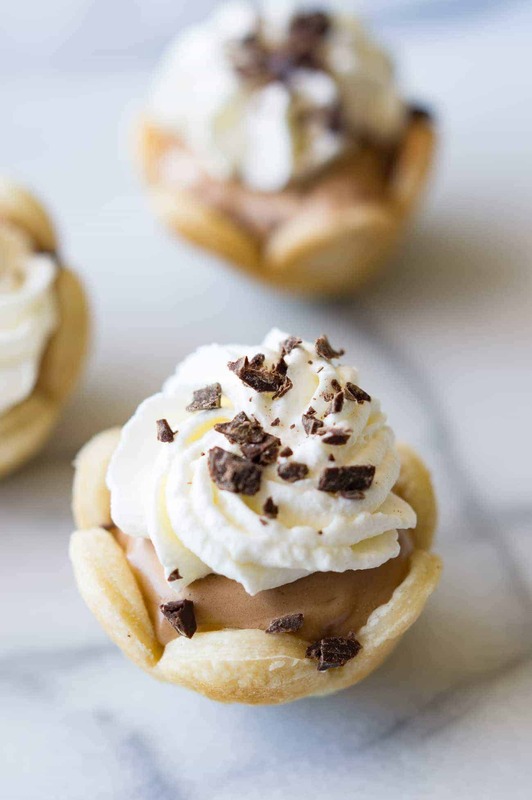 PIN IT to your COOKIE, or DESSERTS Board to SAVE FOR LATER! 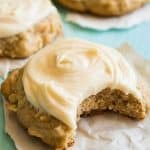 These ultra soft bakery style cookies are made with real maple syrup and topped with a swirl of BROWN BUTTER frosting! 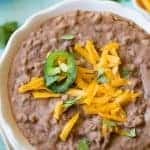 In a large mixing bowl add the butter, beat until smooth and creamy. Add the light brown sugar and mix until combined and fluffy. Add the eggs one at a time, mixing in between. Add in the sour cream and maple syrup, mix until completely combined. In a medium size bowl combine the flour, salt and baking soda. Stir with a fork. Then slowly pour the dry ingredients into the wet ingredients, slowly mixing until just combined. Using a cookie scoop or spoon, spoon about 2 tablespoons of the cookie dough onto the baking sheet. Bake for about 12 minutes until the cookies are turning golden on the edges. Remove from the oven and allow to cool on the pan for about 3-4 minutes, then remove to continue cooling on a wire rack. Repeat this process until all the cookie dough has been baked. This will make about 3 dozen cookies. Once the cookies are cooled prepare the frosting. Add the butter to a small sauce pan. Heat over medium heat, butter will melt. Stir while the butter continues to cook. It will foam and bubble while cooking. Continue to stir cooking over medium heat. Once the butter starts to form brown bits on the bottom of the pan, and the foam starts to go away, you will notice a nutty smell coming from the butter. Remove from heat and pour the butter and all the browned bits into a medium size bowl. Allow the butter to cool for several minutes before moving onto the next step. Once the butter is cooled add in the powdered sugar, heavy cream and vanilla extract. Stir until smooth and creamy. 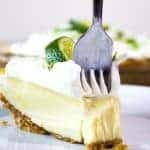 If needed add more powdered sugar or heavy cream to reach desired consistency. Spread the frosting over the top of the cooled cookies. Store the cookies at room temperature in a sealed container, will keep for 4-5 days. Maple Cookies with Brown Butter Frosting first appeared on The Recipe Critic. 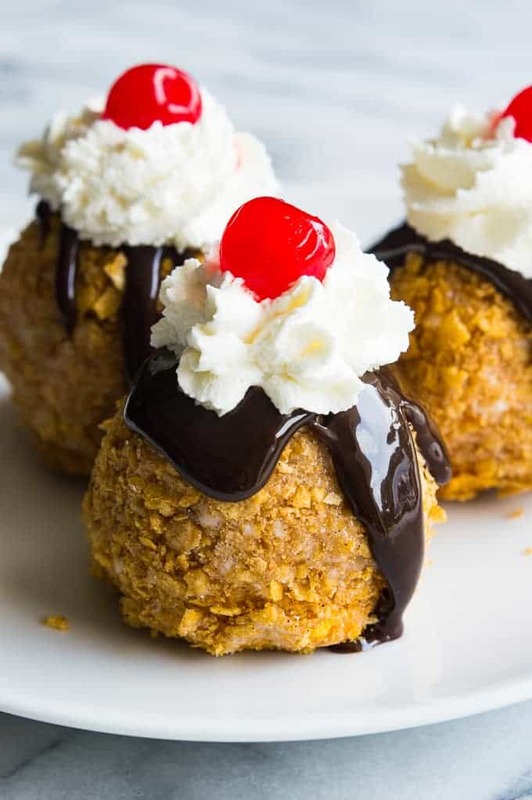 More Sweet Treats to Enjoy!